This is my current field companion Paddy, short for Paddywack. 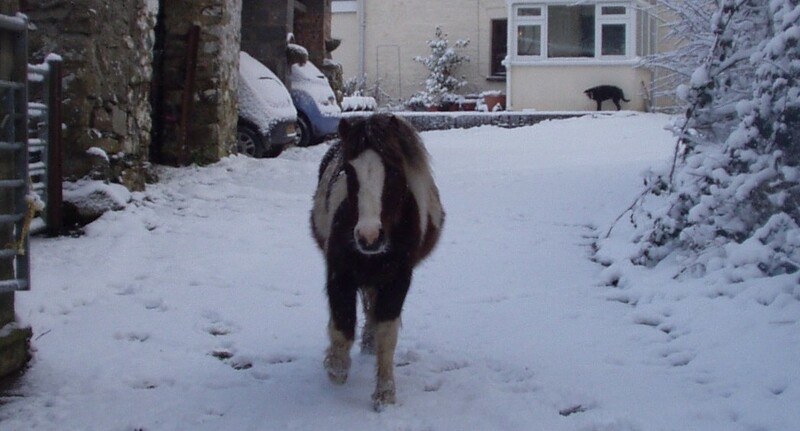 He came to live here some years ago now, in semi-retirement, having been Elin’s busy Pony Club pony. He is bay and bigger than I am and sometimes we do have misunderstandings because he speaks slightly differently from the rest of us. 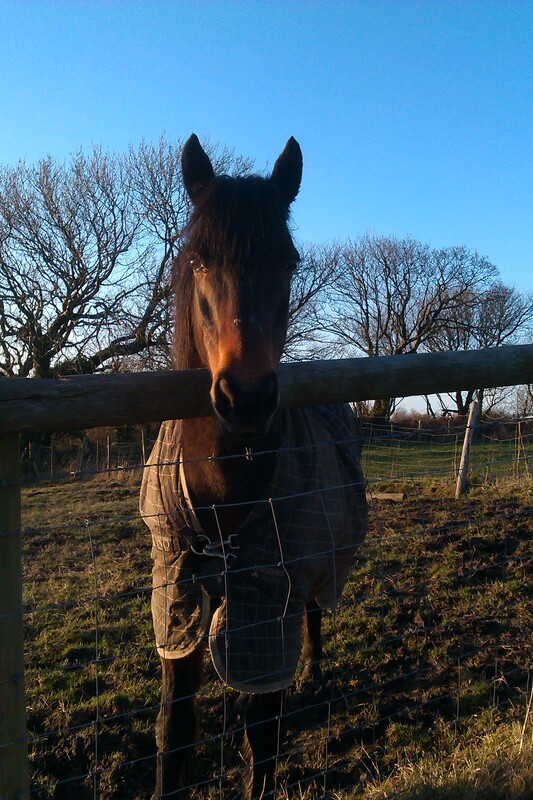 Paddy is an Irish pony and he is very wise. A couple of days ago she arrived in our field wielding a strange engine on a stalk. She set about the brambles with this thing and it was so noisy, I really thought we ought to be tearing around the field pretending to be scared (as you do). But Paddy said we shouldn’t. He said we would wait just around the corner from her until she switched the thing off, then I would see why. I stood behind him, just to be sure I was safe (I mean seriously noisy). 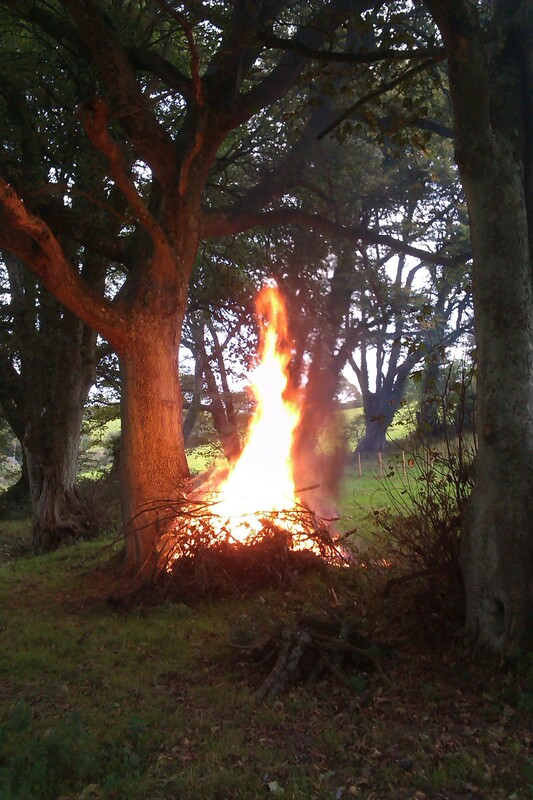 Well it turned out she was in bonfire mood, so soon she was clearing the cut brambles, adding them to a pile of hedge trimmings, which we had already investigated thoroughly, and setting them alight. We are used to that sort of thing – it takes her out of herself in early spring and autumn and she has to have some amusement. But the thing is, as soon as she had finished cutting, Paddy said ‘Come on Tim!’ and we were soon digging into the lovely bits of grass which had been hidden under all those brambles. I would have found them sooner or later, but Paddy just knew. After next Saturday when clearly, we shall be standing in different corners of the field (or pitch), I resolve to stick with my friend Paddy. His old Irish mammy taught him some good tricks! This entry was posted in Life and Times and tagged Pony Club, Six nations rugby on March 9, 2015 by sallylearoyd.